It's more than just a tall 3 though; They didn't just put it on stilts like most manufacturers do when the CUV all the things, they increased the panel heights; although it's similar in appearance, it has more cargo room in the frunk, and now has a hatch which also has more room than the 3 sedans trunk does. notice there is more front bumper on the Y, more rake to the hood, panels have more vertical sheet metal etc. 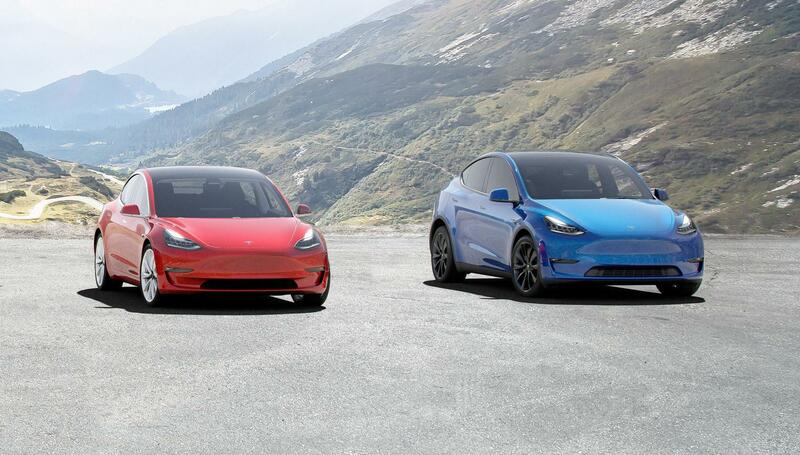 Although the roof line and overall profile are similar, that similarity extends across the entire Tesla lineup ala Tesla's "design language" if you want to call it that. That side by side is telling. Snows they took the 3 and just stretched the body panels up. Still not a better solution than other cars, just a different one. I can buy a hell of a CUV for 51k dollars. It's pretty obvious we're in the early days of mainstream EV here; it starts at 40k for RWD and 60k for performance AWD; 0-60 in 5.9 & 3.5 respectively. Is it more expensive than others? Sure, is it cheaper than others? Sure. Is any CUV significantly better than its competitor? Nope; they're all just slightly different, except the tesla which is an EV instead of an ICE vehicle. Should we be surprised that it looks like other vehicles from the same manufacturer? I certainly hope not, that's kinda what they all do. I get it scrap, you hate ev's, and kids on your lawn, and had to walk uphill, both ways, in the snow wherever you went, and remember when everything used to cost a nickel. RWD 7-seater with 5.9 0-60? That doesn't sound like a short bus full of fun at all! The Jaguar F Pace is a significantly better CUV than any other CUV offered unless we’re counting the Macan as a CUV. If we are, the Macan is miles apart from the competition. I think the F pace is selling about 200 units a month. There's very little demand for EV's that don't say Tesla on them. The Leaf is selling well globally. If Elon or his troupe of musical chairs professionals have any wind left in them, perhaps they can fill this bubble for me one more time.